The texture of materials is also one very important factor. Bending accuracy requirement is one serious factor which should be taken into consideration. Press brake and other CNC equipment are different in aspect to processing field and technology, so as the manufacturers, you have to take full consideration (including the application, deflection, bending radius of parts, etc) before you made the decision to buy it. As the decision maker, you gonna have the responsibility to understand the performance, processing range, function, precision of press brake. This is not the trivial matter because once you made the wrong decision, your production cost will surge and your cost recovering gonna be an impossibility. The point is you need to purchase one press brake which can help you finish the processing task, rather than the one with the shortest worktable and the minimum tonnage. Check the types of steel sheet as well as the max thickness and length. If it’s low carbon sheet metal with max 3mm thickness and 2500mm length, then the free bending force has no need to exceed 80 ton. However, if you need to process hollowing block at the bottom, probably you should consider purchasing one press brake with about 150-ton force. 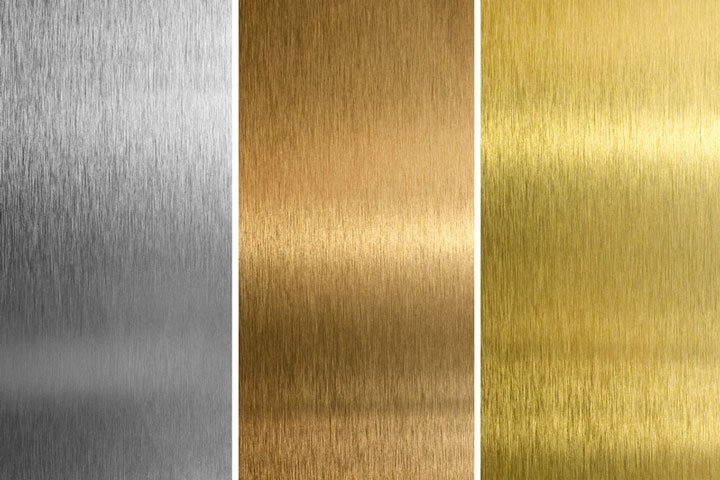 If the sheet metal is low carbon steel with 6mm thickness and 2500mm length, then you should purchase 100-ton press brake. If you need to bending sheet metal with hollowing block at the bottom (bottom bending), then you gonna need large CNC press brake. If the sheet metal is about 1250mm or shorter, then smaller CNC press brake should be choosing, even half above size. In this way, your purchase cost will decrease a lot. You should memorize that the length of sheet metal is one of the key factors for you to choose suitable press brake. During the bending process, especially bending those long workpiece, the CNC press brake must have deflection. The longer of the workpiece, the larger deflection of the press brake. Under the same load, the deflection of those press brake which processing 2500mm sheet metal is four times than those processing 1250mm sheet. That is to say, the shorter press brake with less gasket adjustment will make qualified products. Reducing the adjustment of gasket also help short preparing time. The good thing is, most CNC hydraulic press brakes have already added hydraulic deflection compensation function during the manufacturing process, which is helpful for reducing operator’s adjustment of machines. Meanwhile, it improved the accuracy of bending as well as production efficiency. Hydraulic deflection compensation function is controlled by the CNC system. Hydraulic oil enters into compensation oil cylinder via a magnetic servo valve, and push the worktable upward. At the same time, the deflection compensation force increased with the bending force of the press brake, which plays the function of deflection compensation. Compared with low carbon steel, the bending force needs to increase by about 50% for stainless steel. 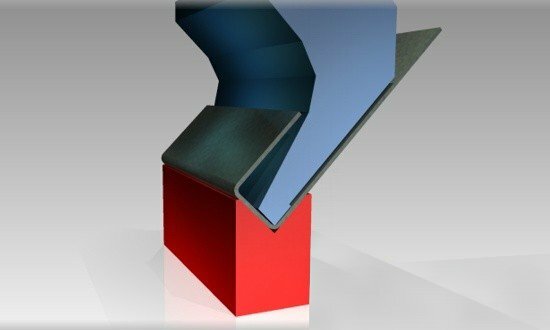 But for soft aluminum sheet metal, the bending force will decrease 50%. You can get the standard bending pressure parameters from CNC press brake manufacturers. The following datasheet shows the bending force which will be needed for 1000mm sheet metal with different thickness and materials. There is one quick way to calculate the bending force which is required by your press brake. To use our online press brake bending force calculator to calculate the required press brake tonnage. During the bending process, the bending angle radius of workpiece should also be taken into consideration. The bending radius is 0.156 times compared to the V groove opening dimension. During the free bending process, the dimension of V groove opening should be 8 times larger than the thickness of the metal sheet. 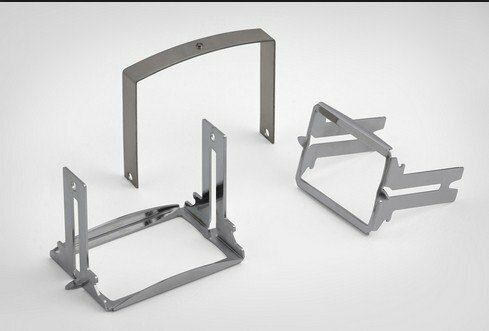 For example, if use press brake with 12mm V groove opening to bend 1.5mm low carbon sheet metal, the bending radius should be 1.9mm. If the bending radius close to the thickness of the metal sheet or less than it, then bottom hollowing mold should be used. However, the pressure will be four times larger than free bending. For free bending, please pay attention to the clearance between the punch and die at the bottom of the stroke, and the resilience of when bending sheet metal with 90°. 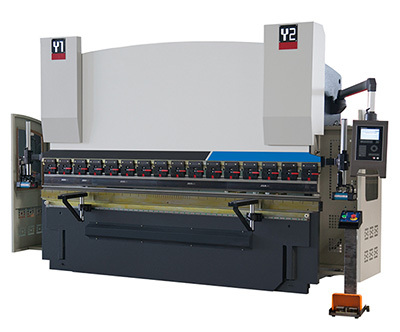 Generally, the free bending mold will generate less than 2 degrees’ resilience angle on the new press brake. And the bending radius equals to 0.156 times of down mold opening distance. 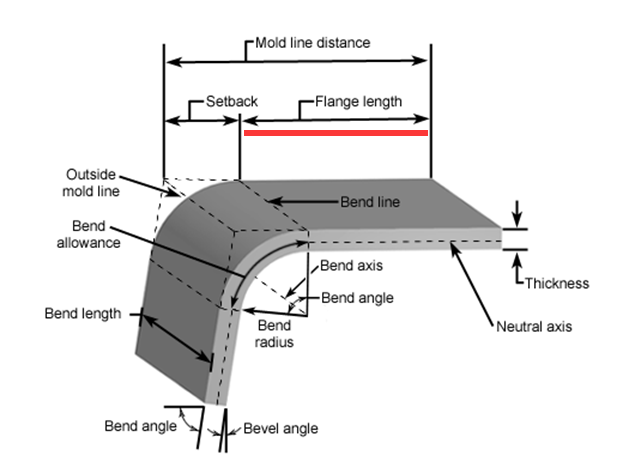 Thus, for common free up and down bending processing, the mold angle will be 86°-90°. At the bottom of the stroke, there should have one clearance which is slightly larger than the thickness of sheet metal. The reason why the angle of punch improved is that larger bending tonnage of hollowing block dies been used (4 times bigger than free bending mold). This is helpful for reducing resilience force within the scope of bending radius. Bottom bending is the same as air bending. The only difference is the front end of the punch been turned into the bending radius which gonna be needed. Meanwhile, the resilience force is avoided because the clearance between the punch and die at the bottom of the stroke is less than the thickness of sheet metal, plus enough pressure force (10 times than free bending), the front end of the punch will contact with the sheet metal. In order to choose the press brake with the lowest tonnage, you better choose the one with bending radius larger than the thickness of sheet metal. 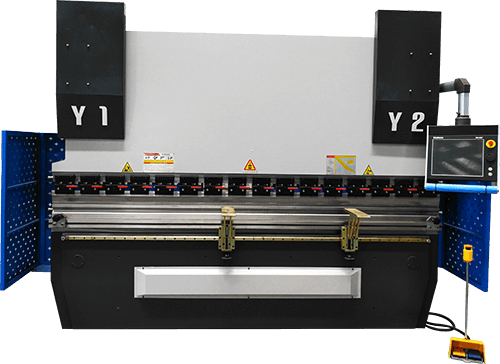 And choose free bending because large bending radius will not affect the quality of finished products and will ensure the long service life of the press brake. It is just the factor that determines you choose CNC press brake or common NC press brake. If the accuracy requirement is ±0.5 degree and can’t be changed, then you should put your eye on CNC press brake. The repositioning accuracy of the ram can be controlled at ±0.01mm. So for those highly precise finished products, you have to choose such press brake with high accuracy and good performance. However, the ram’s repositioning accuracy of NC press brake is about ±0.5mm. Under the proper condition of the punch, it still will cause ±2~3 degree deviation. Besides, CNC press brake always equipped with CNC controller for quick punch installation and clamping. If you need to process many small parts, then this factor has to be your first consideration. 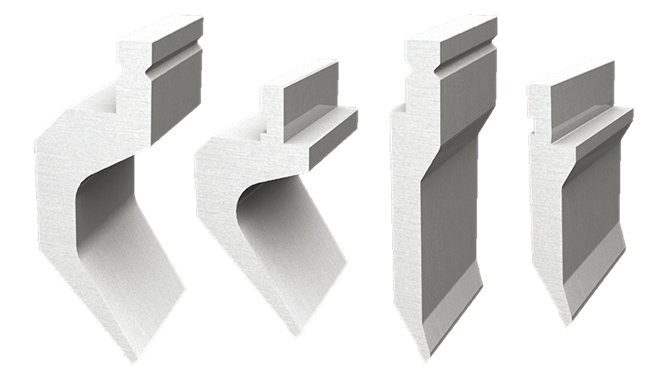 Press brake toolings are been used for forming sheet metal and have a direct influence on the accuracy of the bending process. Therefore, the mold should be checked carefully. The tool has a variety of shapes, different punches and dies are been used for different parts. In order to get the desired shape of the parts, the physical properties of the materials are mainly been changed through the molding. It is a tool for making the blanks into parts with a specific shape and size under the influence of the press brake bending pressure. Press brake standard mold can be divided into punches and dies, for sheet metal stamping and separation. 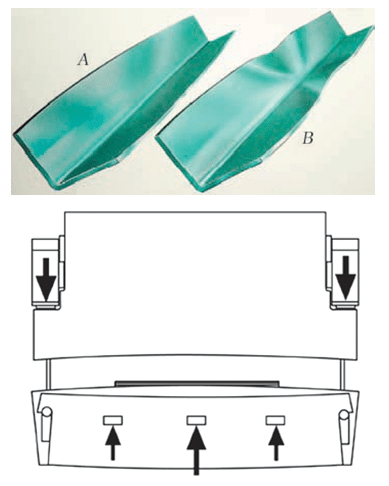 The forming mold has a cavity and the separation mold has a blade. 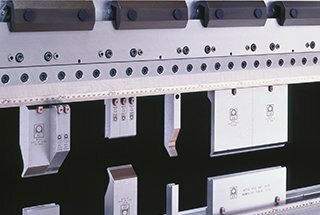 Press brake mold generally use T8 or T10 steel, and some better toolings use the 42CrMo material. It requires high strength, high toughness and good wear resistance. Cold work dies steel Cr12MoV is also a good material. While 42CrMo is a high strength alloy quenched and tempered steel, with high strength, good toughness, and can work below 500 degrees. 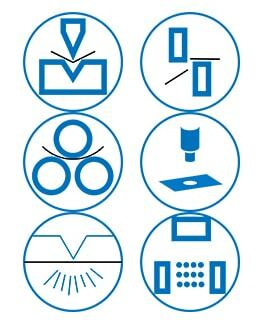 Besides, the wear of each mold must be checked by measuring the length of the punch from front to the shoulder and the length between the die shoulders. For conventional molds, the deviation per foot should be around ± 0.001 inches and the total length deviation should not be greater than ± 0.005 inches. As for the fine grinding toolings, the accuracy per foot should be ± 0.0004 inches, the total accuracy should not more than ± 0.002 inches. It is best to use fine grinding molds for CNC press brakes, and conventional molds for manual press brakes. There really is a lot that you have to take into consider when you’re deciding whether or not to purchase a press brake. I particularly like that you remind readers that bending accuracy is so important. After all, you want to make sure that the press brake you buy will function properly.